Our Southern French Alps ‘Classic’ package allows you to take on some big rides and some big climbs amid stunning mountain scenery. This trip offers a real Alpine road cycling challenge with a chance to bag an iconic Tour de France climb each day. On our ‘Classic’ packages we provide vehicle back up support on all your rides, with snacks, drinks etc. and our guides will be there to way-mark routes and assist you throughout. Back at base we can help you arrange a sports massage therapist – at an additional cost. If you are short of holiday time, but want to experience this incredible cycling region of the Southern French Alps – then we have the solution! Our road bike weekends are the most convenient and hassle-free road cycling breaks available and we will ensure that with 2 days off work, you get 4 days of rewarding and exhilarating riding. We look after everything – just turn up to Geneva airport on Thursday and be ready to ride. This region does feature a lot of high mountain routes, so is best suited to regular bike riders who have a good level of fitness and want to pit themselves against some big climbs. Ascents to cols can be 20km+ long, which can mean up to 2 hours of climbing, so please make sure you’re ready for the challenge! This region features regularly in the Tour de France, with good reason – there are numerous thigh-burning climbs which take you to over 2,000 metres. During the 4 days of the long weekend we will be planning to climb the Col de Galibier, Col d’Izoard, Col de Glandon / Croix-Fer and the legendary Alpe d’Huez. Big mountains and deep valleys means not as many linking roads, and thus fewer loop rides than in the Northern Alps. But with the use of our minibuses and full ride support we’re still able to tick of all of the legendary rides and epic climbs. Some days will be a one-way bike ride out with the option of a minibus lift back to base (unless you’re feeling super fit!). With our ‘Classic’ package we plan a ride each day and aim to challenge all riders with the best terrain and roads that we know. Our vehicle is with you throughout so helps lighten the load, carrying spare clothes and other gear, and is available on cols for drinks & snacks to keep you fuelled and riding strong. For this weekend we’re based in the unique mountain village of La Grave – looking across to the towering mountains of La Meije and its impressive Glacier. We never tire of the view from the hotel terrace! Our base is a great bike hotel, very well set up for groups of cyclists, providing a great place to relax after a big day in the saddle and meet keen cyclists from all over the world. Our Classic Southern Alps trip is an awe inspiring road cycling weekend of epic proportions. Your 4 day weekend comes with full vehicle support each day. Tick-off some legendary Tour de France cols with a challenging and rewarding itinerary designed to make the most of these rugged mountains. From our base we can ride up or down the valley to access the main climbs and cols. 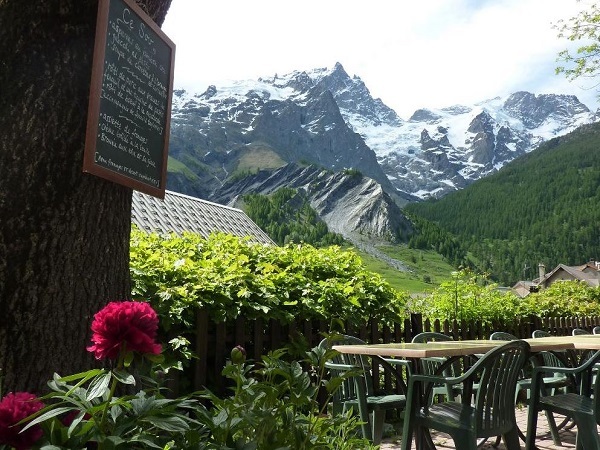 We stay in a very comfortable and friendly Auberge hotel in the traditional high-mountain village of La Grave. All our weekends are designed to give you the best riding possible in 4 days and to mix challenge with enjoyment. It’s not a training camp; we want you to enjoy the rides and scenery and not just be fixed on the tarmac! Our ‘Classic’ weekends are designed to give you a varied selection of the best riding to be found in the region. We set a fixed itinerary for rides each day. After each ride, there’ll be time back at base to relax before a 3 course evening meal, with wine included. Our airport pick-up is at 17:30 – transfer to La Grave is 2.5 to 3 hours. We’ll be at base in time for dinner; there’ll be time to build bikes / set up hire bikes as well. 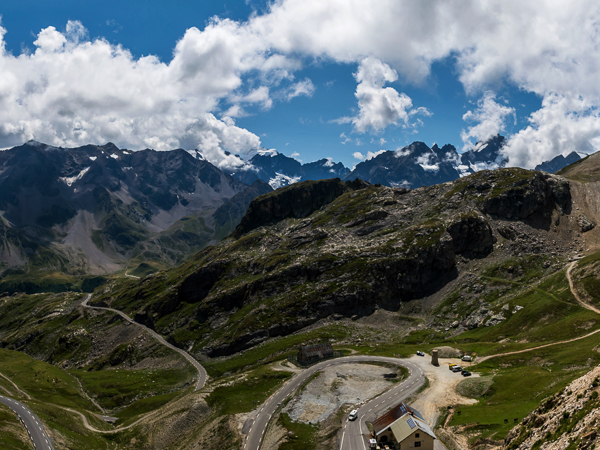 A stunning ride taking in both sides of the mighty Col de Galibier which tops out at 2,650 metres. 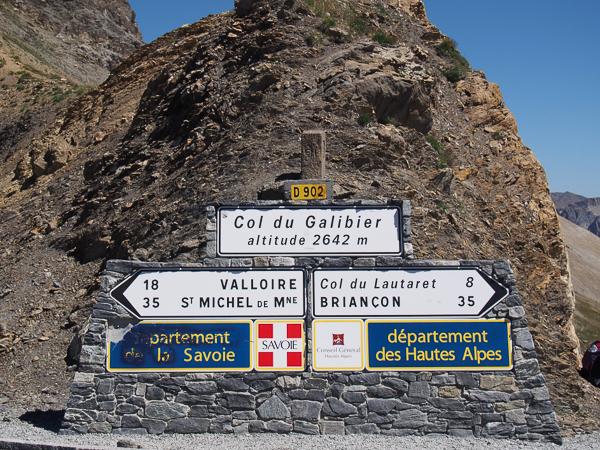 Ride from your base to Lauteret and onto Galibier. 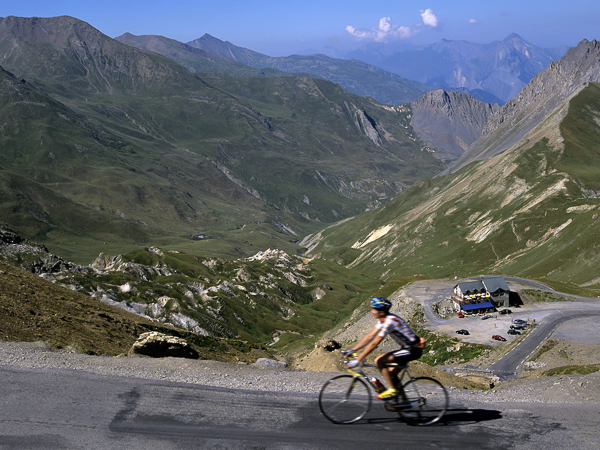 Descend to Valloire (for lunch) before tackling Galibier once again. A world-famous favourite climb… ride from base down to Bourg D’Oisans and ready yourself for the ascent of the 21 hairpins of Alpe D’Huez. We’ll then take the spectacular rural ‘Balcony’ road back before the return climb up to La Grave. An early breakfast, before one more epic Tour de France col to ride. You’ll head up and down to the Col de Glandon and Col de la Croix de Fer, over 24km of climbing and a fitting way to finish our big mountain weekend. We are fortunate to be able to choose from two different locations for our ‘Classic’ road cycling trips in the Southern Alps, each with their own advantages. One is in the pretty mountain village of La Grave, the other is in the heart of 6 valleys in Bourg-d’Oisans. We tend to make our location selection based on the overall group requirements, as well as preferred itinerary. Either way, you will receive a friendly welcome and service, in properties with charming character and comfort, in convenient locations. Each hotel is very bike-friendly with secure bike storage, a sauna and more. All rooms are en-suite; most of them are 2 person double / twins, plus a few larger rooms which can sleep up to 4 guests. Both offer great riding direct from the door, and are accessible to the iconic cols made famous by the Tour de France, in addition to spectacular scenery. Please note that, depending on availability, on some trips we may use other accommodation in the area, and these locations are also chosen as above. Dinner is freshly prepared by a dedicated chef team, using local produce where possible. Menus are planned with cyclists in mind, and will fill you up with the carbs you need for the next day’s riding. Both hotels are used to feeding cyclists and their teams know what sort of food you need for the next day’s riding. Service is always friendly and relaxed, and meals are usually served on the outside terrace in summer, weather permitting. Our ‘Classic’ road cycling breaks are available in the Southern French Alps on certain fixed dates each summer, on a Thursday – Monday 4 night basis. These breaks are available to book for groups of any size. Looking to book a 'Classic' Southern Alps break?